It is a regatta day. Yachts have assembled and smart young crews in ‘team-shirts’, carrying sails and lines, are passing along the pontoon beside us. This is out of our league. It’s time we left. The wind is light this morning but there is no hurry today. We only have 10 nautical miles or so ahead of us and can sit back and enjoy the sail. 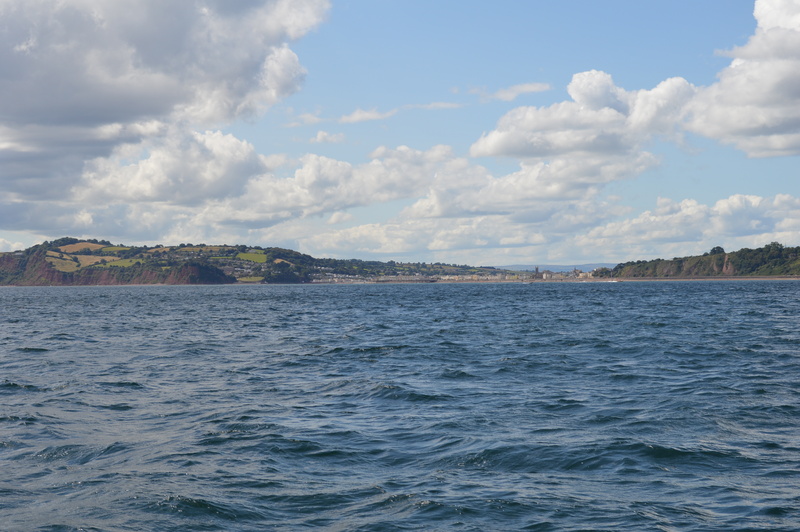 Off Teignmouth, looking back to Hope’s Nose and the Ore Stone in the foreground and Berry Head beyond. 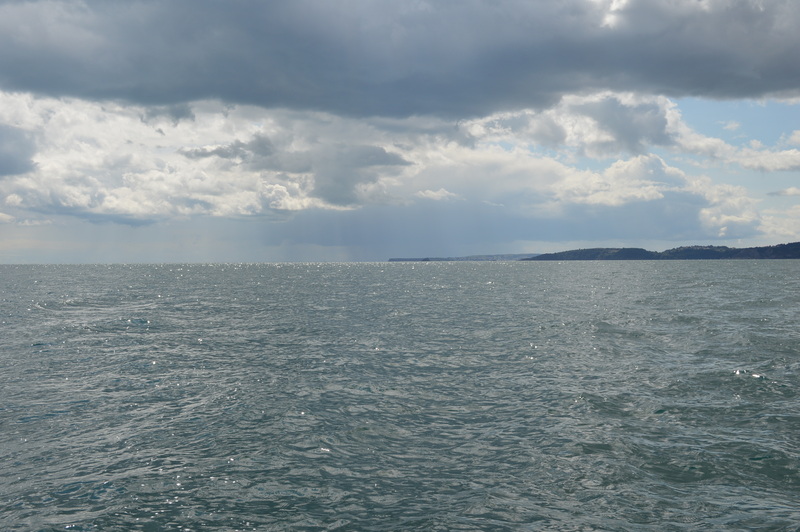 One of the difficulties of taking photographs at sea is to give a sense of expanse. The photographer has a 360 degree view, not only seeing what is in front of him/her but connecting this to the view at the edge of vision and the knowledge of what is behind. Reducing this to a framed image loses much of this. Another difficulty is to give a sense of movement – to capture the dynamic of a wave in full motion. It is a day for the crew. The mackerel are biting off Teignmouth (above) and he catches more in two hours than I have caught in the past two years. He has caught his supper and looks pleased. 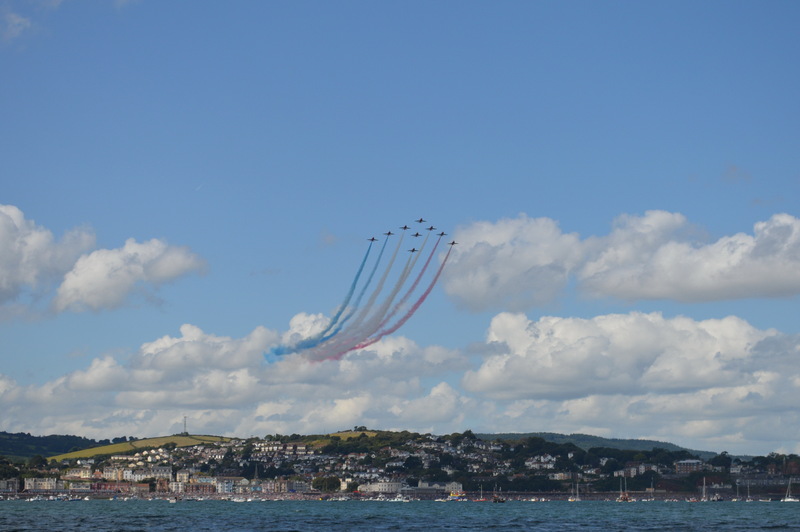 It is Dawlish Air Show and the Red Arrows will be there. Dawlish is some three miles further on than Teignmouth. 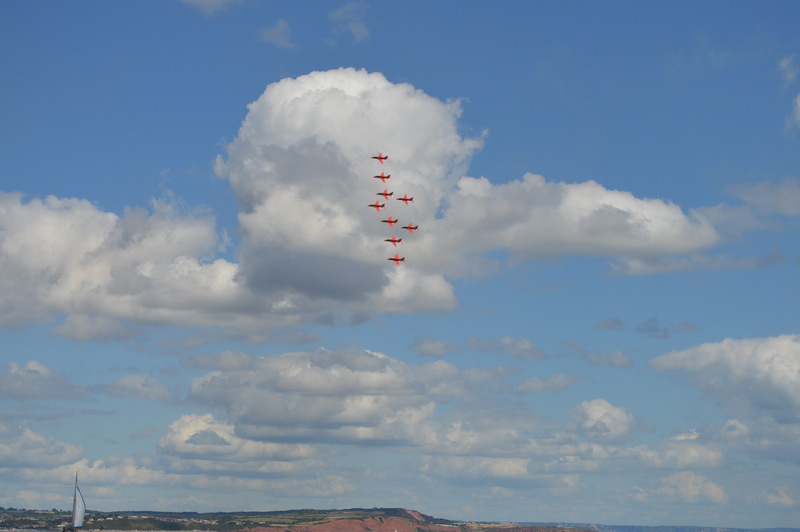 As we get closer we can see acrobatic teams and fly-bys, also the large fleet of small boats moored inshore and the crowds on the beaches and cliffs. Lowering the genoa, we opt to sail backwards and forwards outside the fleet . 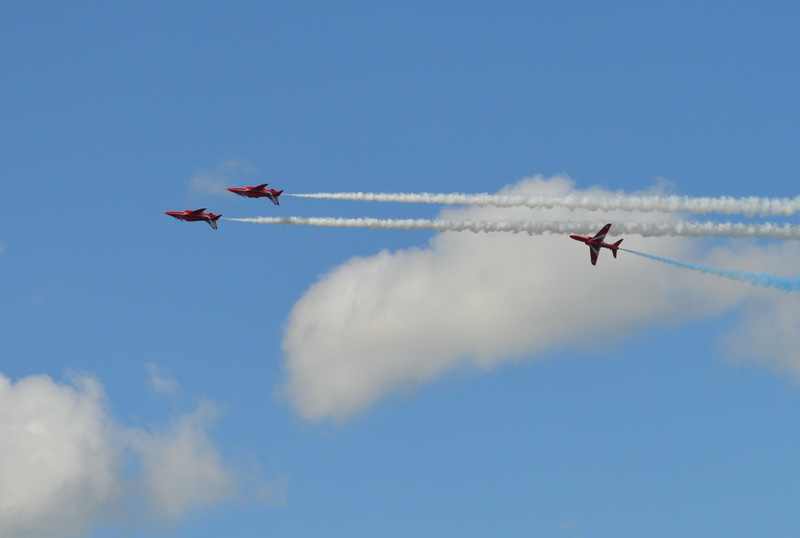 . . just as the Red Arrows arrive. 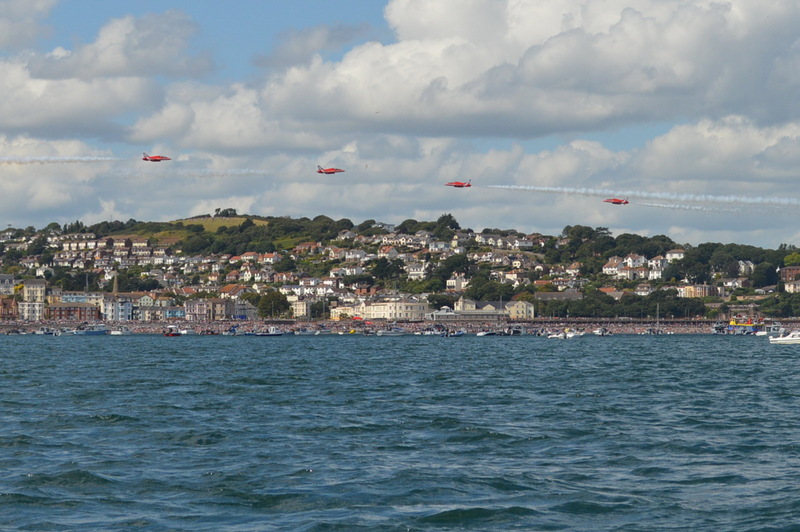 The show is soon over and we head back to Teignmouth before the fleet raises their collective anchors. The harbour master’s launch cheerfully guides us to the visitors’ pontoon. 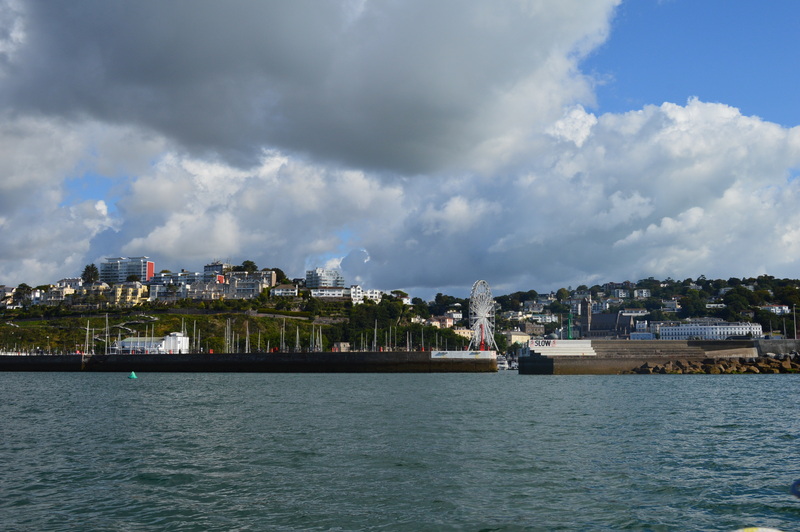 I had rung the harbour office before we left in the morning and, although the berths for small boats are on a first-come-first-served basis, we are expected which always eases those final, sometimes intense, moments before the lines are made fast and all becomes still. 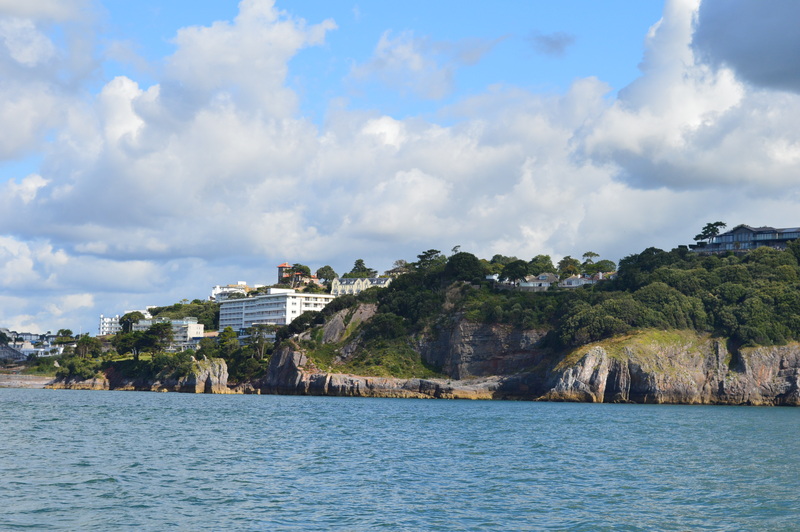 Pingback: Salcombe to Torquay | Beyond Steeple Point . 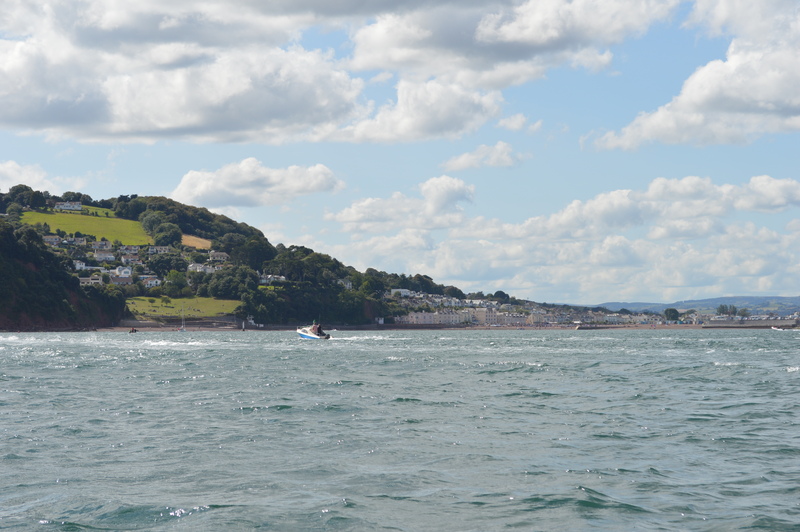 . .
Pingback: Teignmouth to Brixham ~ weather bound ~ unexpected problem ~ change of plan | Beyond Steeple Point . . .